Charles Herbert Ferry was born in the East Maitland area of NSW in 1888, son of John Ferry and his wife Sarah, née Eyle. In 1932 Charles H Ferry married Ruby R Clark at Chatswood, Sydney. He died on 26 April 1967. Charles Ferry was known for his service to the Redfern area and its welfare. In 1975 Young Lane in Redfern was renamed Ferry Lane in his honour. 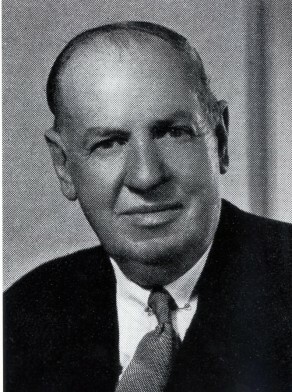 Charles Ferry was elected Alderman for Redfern, 4 December 1948 to 4 December 1953 and for City Ward, 5 December 1953 to 30 November 1956. He was a member of the Works Committee, 1949-56 and its Vice-Chairman from 1954 to 1956. He served on the Health and Recreations Committee, 1949 and 1954-56, the Finance Committee, 195053 and the City Planning and Improvements Committee, 1950-53. Ferry was also appointed a member of the Board of Health of New South Wales, 1955-56.